This sample is from the Kootenay region of southeastern BC. 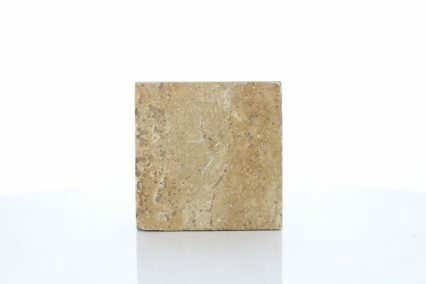 As seen in this sample, marble sometimes has small void spaces or cavities. These can form when slightly acidic fluids percolate through the rock, dissolving some of the rock as they flow through it. Later, other fluids can flow through these spaces, precipitating minerals like calcite, the white mineral seen in the hotspot images in this sample.